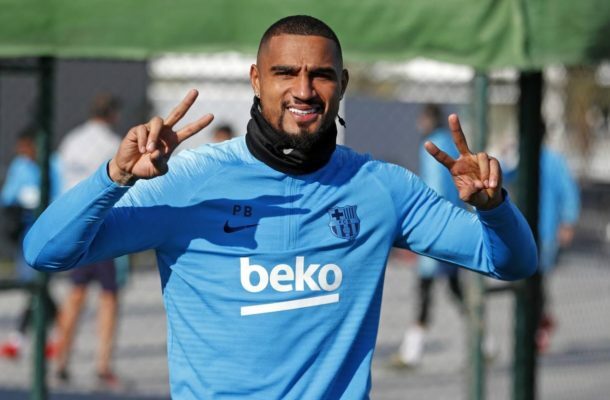 Ernesto Valverde has named Kevin-Prince Boateng in Barcelona's 19 man squad for Sunday's game against Athletic Club. The Ghanaian international is yet to feature for the Catalan giants since making his debut in the defeat against Sevilla in the Copa Del Rey. Valverde has also called up Juan Miranda, the Barça B left-back, to cover the absence of the suspended Jordia Alba at San Mames. B team goalkeeper Iñaki Peña also makes the cut due to an injury to Jasper Cillessen. As well as the Dutch goalkeeper, Rafinha, Arthur and Umtiti are also injured. Samper and Todibo have not been called up for technical reasons. The full squad is: Ter Stegen, Semedo, Piqué, Rakitic, Busquets, Coutinho, Suárez, Messi, Dembélé, Malcom, Lenglet, Murillo, Boateng, Sergi Roberto, Aleñá, Vidal, Vermaelen, Miranda and Iñaki Peña.